Action-packed episode! We talk USWNT, Game of Thrones, Marvel movies, Suicide Squad, Serial and more. This week we are all business. Out of the gate, we talk Kanye’s streaming numbers and the numerous covers of “Ultralight Beam,” including our favorite one. Then we give some love to Aziz Ansari for his video for Kanye’s song “Famous” and give some hate to Bieber for his hair. Come on man! We talk about the US Women’s soccer team’s equal pay lawsuit and the second season of Serial, featuring Ryan comparing it to Weezer’s Pinkerton. And we play Hot, Cold or Luke with new trailers for Game of Thrones, Suicide Squad, Star Wars: Rogue One and Doctor Strange. 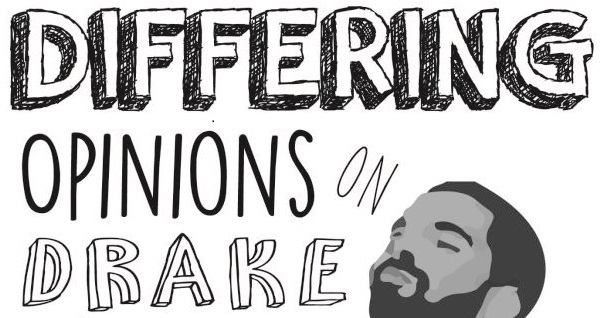 The Differing Opinions on Drake podcast is on iTunes and you can find it HERE. Please download it, review it, pass it along. We’ll be your best friends. Promise. We are also on Stitcher now- you can download the pod there as well if iTunes isn’t your thing. And as always, you can reach the podcast on Twitter, Instagram or via the electronic mail.